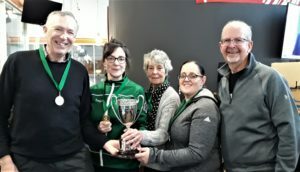 As the Irish mixed team in Canada pack up their kit, the rank and file members of the ICA turned out in force at Braehead Curling Rink today to contest the Irish Open Championships for The Fyfe Trophy. Six rinks played four 4-end games,two before lunch and two after and after a some very complicated maths, due to the Schenkel system, the gold medal winners for 2018 were the team of David Hume, Louise Kerr, Karin Hutchison and Clare McCormick. 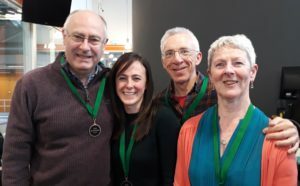 The silver medals went to the team of Neil Fyfe, John Burns, Frances Whyte and Susan Scotland. 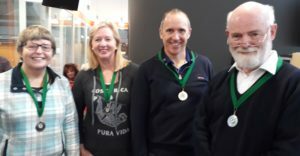 The bronze medallists were Bill Gray, Paul Cromey, Jacqui Davidson and Frances Donald. The consolation prizes were to Marie O’Kane, Eoin McCrossan, Anne Gibson and David McHale. Thanks to President David for doing the medal and trophy presentations, secretary Bill for his hard work organising the competition and all who turned out to play, especially the Hutchison family. A storming extra-end victory for the Irish mixed curling team against Finland at the world championships in Canada took their win-loss record to 3-4 and boosted their confidence ahead of second in the group Denmark later today. 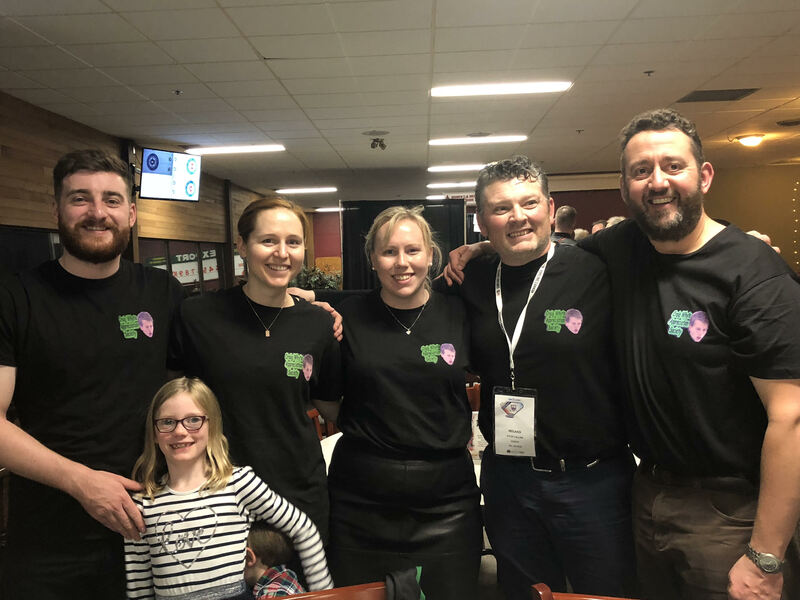 A very tactical game ensued with lots of singles and blank ends on the scoreboard as the two teams fought to keep last stone advantage. 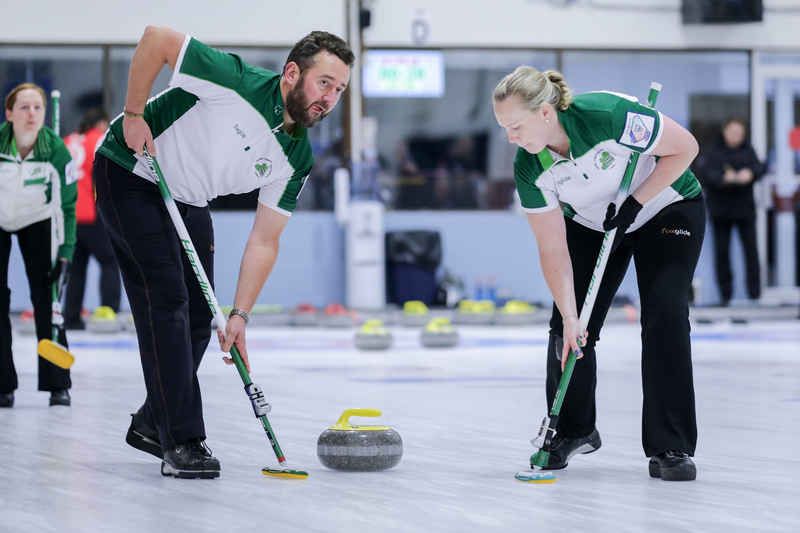 Finland had last stone in the last end, which was blanked and, therefore, the extra end, but Ireland keep their nerve to steal a one for the victory. Their last game is at midnight (our time) tonight. 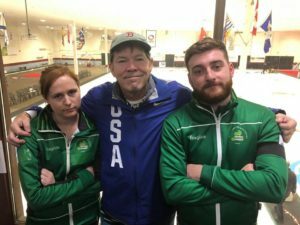 There was another defeat for the Irish mixed curling team in Kelowna, BC, through the night, going down 6-2 to the USA. 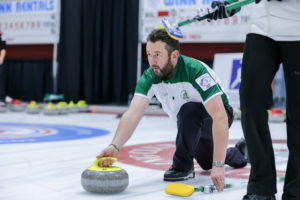 Singles were exchanged over the first three ends before the Americans stole a one and then a two to put clear water between them and the Irish.Ireland struggled to get more that a one on the scoreboard and the USA ran out comfortable winners. The team have a break now till midnight our time (4pm in western Canada) when they face Finland. 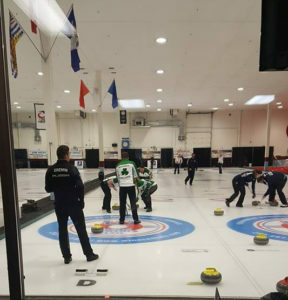 The folks at Kelowna Curling Club have set up live streaming of the World Mixed Curling championships. Sheets B and E will be streamed via Youtube. Great for when Ireland play Denmark on Thursday. Sheets A C D & F are available via the app “Jasboom”. Visit their website for details …. Ireland suffered their third defeat at the World Mixed Curling Championships in Canada, going down 8-3 to Russia. 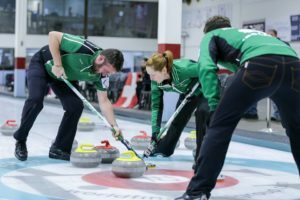 It was textbook stuff from the Russians for the first four ends, limiting the Irish team to ones while taking twos when they had the hammer. A steal of two by the Russians in the fifth end heaped the pressure onto Ireland and, after scoring another single in the sixth, the Irish curlers lost yet another two at the seventh. The team will now regroup before facing the USA at midnight (BST). 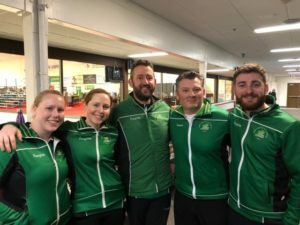 A wonderful day for Ireland’s mixed team at the world championships recording their second win with a comprehensive rout of the Netherlands. A stunning six in the first end set the tone and after a few ends where they limited the Dutch to singles, a four in the sixth end meant the opposition offered handshakes. 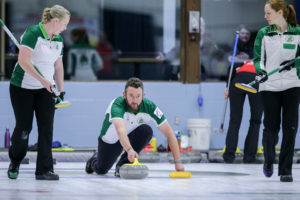 Ireland’s mixed curling team of James Russell, Ailsa Anderson, Arran Cameron and Katie Kerr got their first win of the world championships today in Kelowna, British Columbia, with a 10-6 victory over Brazil. 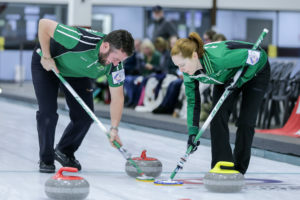 The first three ends of this contest were a bit of a nightmare for the boys and girls in green, losing a single, a three and then another one before they got on the scoreboard with a three at the fourth end. That saved them from a tongue-lashing from Stevie ‘Hairdryer’ Callan at the break. 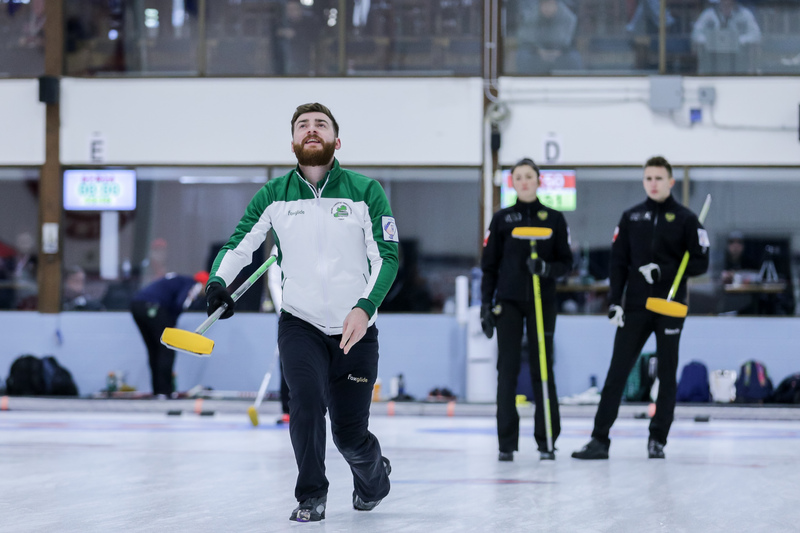 Back on the ice, the Irish limited the Brazilians to a single in the fifth before thumping seven shots past the Samba sliders over the last three ends. A dominant second-half display that drew comparisons with a certain world cup semi-final circa 2014. 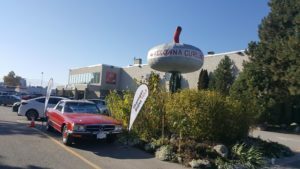 Our top team in Kelowna are not alone! 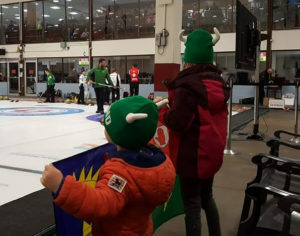 Hoards of Irish fans have descended on the Rockies town to support the curlers. 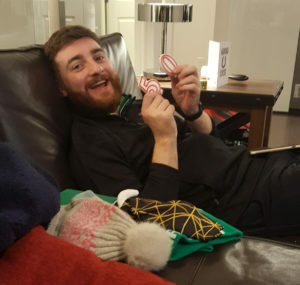 Coach Steve Callan as well as composing a comprehensive match report (see below) has also been taking photos to record a few “special moments” of the world championships. Jane Cameron and friends fly the flag. Ireland’s super fans Elspeth and Struan Callan. The view from the coach’s bench in the game v Australia. The team headquarters is sandwiched by the Canadians on one side and the Swiss on the other. 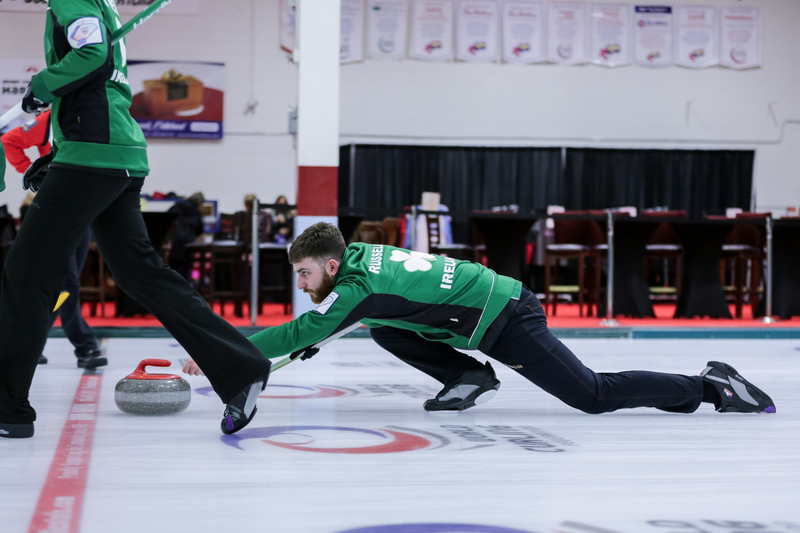 “The team and support all arrived in beautiful Kelowna on Thursday 11 October and set up team Ireland’s base camp for the next 11 days. 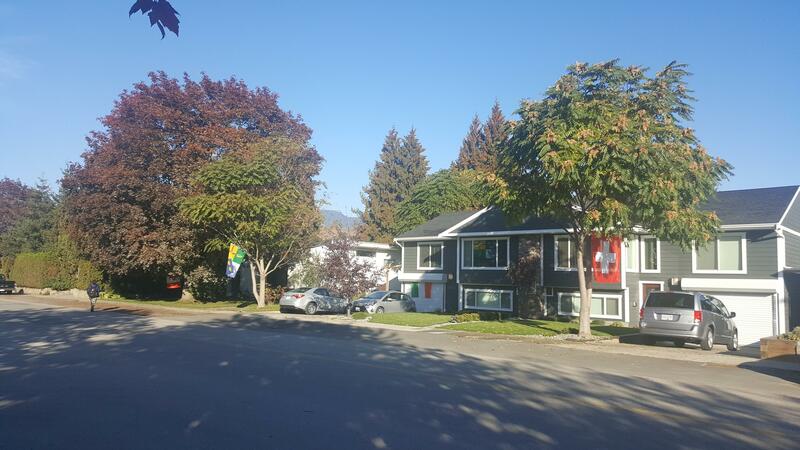 We soon found out our house was located in between team Canada and team Switzerland’s houses and both had their flags flying from trees at each house. Not to be outdone on the flag score we duly hoisted three flags of our own! “There was serious concern over the health of skip James Russell who arrived with an injured shoulder and almost no neck movement. We believe the injury was caused by putting his hand in his pocket for a round of drinks. A nasty fall on the ice during Friday’s practice did not help the injury either and made it considerably worse. There was serious concern amongst the team that James would not be fit to start the competition and Ireland would either have to play with three, or if the WCF allowed it, I could step in. “Thankfully following heavy duty painkillers, acupuncture, massage, a witchdoctor and no sympathy from the team, James made a remarkable recovery within 24 hours to declare himself fit to start against Australia on Saturday night at 8pm local time following the opening ceremony. “Game 1 versus Australia started slowly for Ireland and were 4-2 down at half time with nerves having a negative impact. Following the restart Ireland fell 5-2 behind. However Ireland pulled 1 back in end 6 and then stole a 2 in end 7 to tie 5-5 going into the last end, but without the hammer. Australia used this to their advantage to draw to the button with their last stone to take the game 6-5. 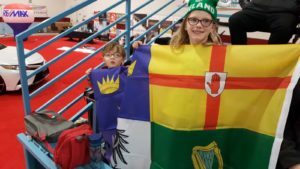 “The support for Ireland was tremendous and was only outdone by Canadian and USA fans. Arran’s wife Jane, Ailsa’s mum and partner, Katie’s dad and Steve’s wife and two children Elspeth and Struan made plenty of noise for Ireland. 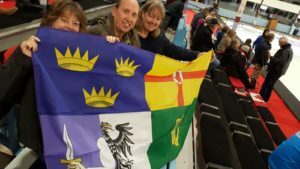 Elspeth in particular was very supportive with her cheering and flag waving and was subject to significant media attention during the game. “Whilst down about losing to a team Ireland were more than capable of beating, the blow was softened by the Aussie team buying several pitchers of beer in the bar afterwards and some good quality banter. 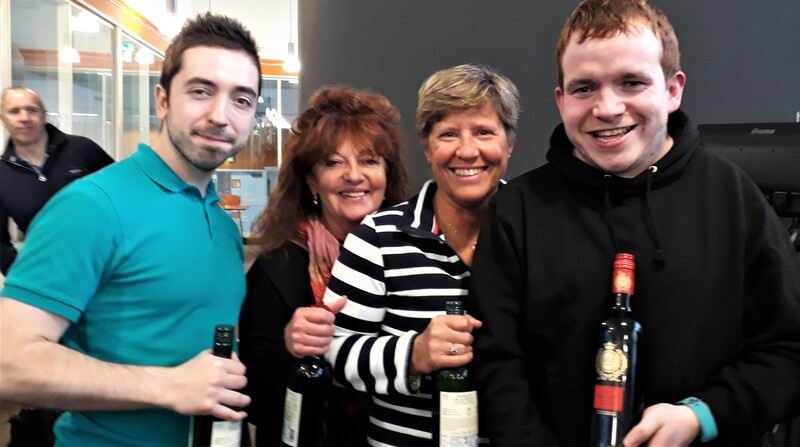 “Next up is a strong Switzerland team ranked sixth in the world on Sunday at 12 noon local time. 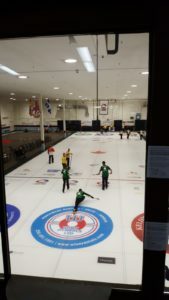 “Game 2 started similarly to that against Australia and Ireland found themselves 2 down after end 1. However Coach Callan observed from the evening before that the Swiss team preferred to play a hitting game so Ireland’s tactic was to get plenty of guards out front and draws behind and make life awkward for Switzerland. 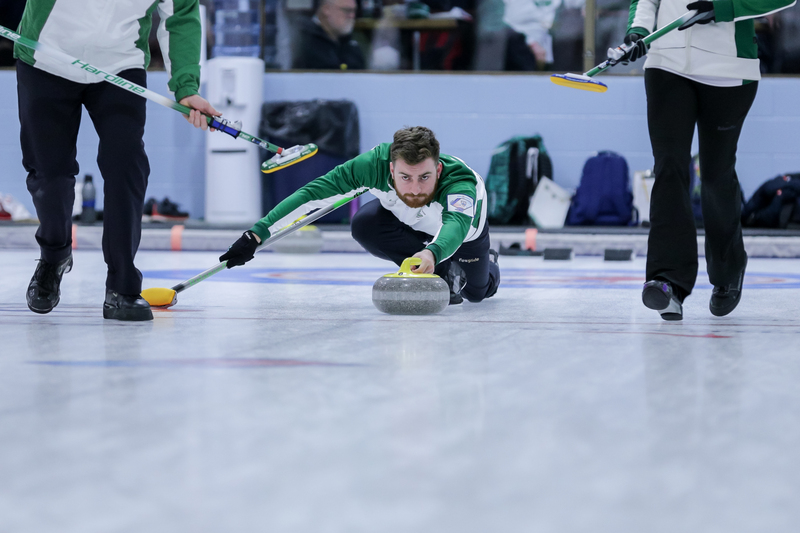 Ireland quickly imposed themselves on the game and got to half time 3-2 up and playing really well with confidence increasing after ends 2, 3 and 4. The Swiss knew they were in a game. “Somehow end 5 worked out badly and Ireland shipped a 4 and the momentum swung back to Switzerland. Ireland hit back hard with a 2 in the sixth end to be 6-5 down. 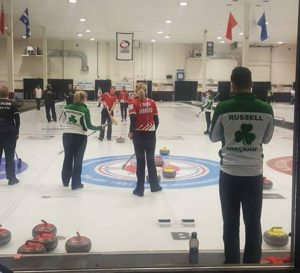 Switzerland took their 1 in the seventh end leaving Ireland needing to score 2 in the last to force an extra end. Following excellent stone placement by Katie, Arran and Alisa, James had straightforward draw to tie the game at 7-all. 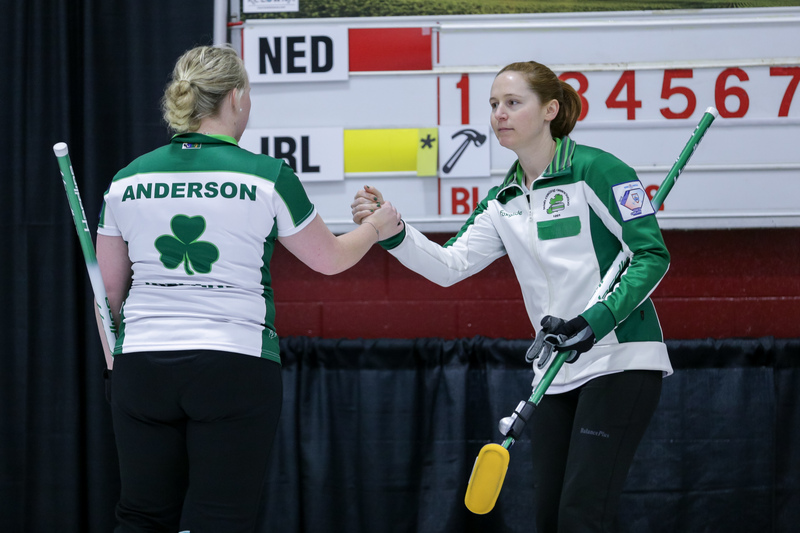 “The extra end was exciting and nerve wrecking as Ireland had 4 stones counting before Switzerland’s final stone. Their skip played a delicate draw and looked like it was going to catch a guard and hand Ireland a famous but deserved victory. However, the so called “luck of the Irish” failed as the stone clipped the very edge of the guard stone and spun its way into the house and lie 1 and take the game. 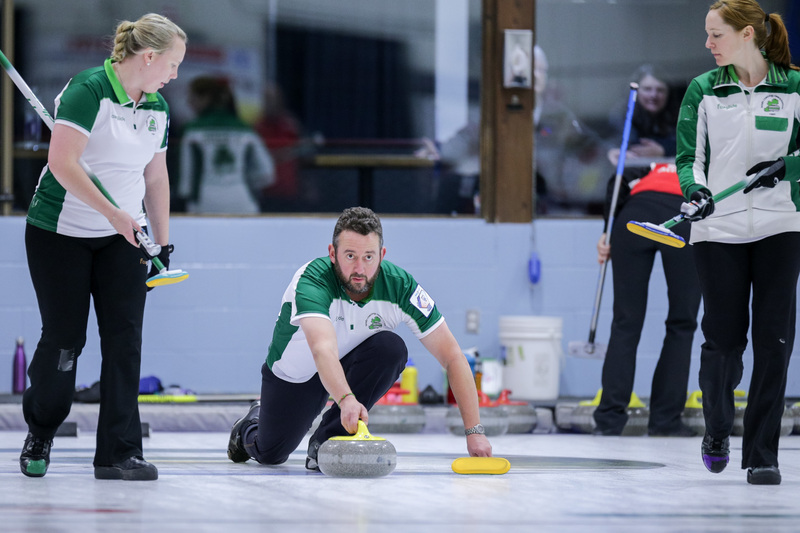 “As coach, I could not have been more proud of their efforts against Switzerland who are one of the world’s strongest curling nations. Ireland’s game management and accuracy was a massive improvement on the first game versus Australia and hopefully bodes well for the rest of the competition. Whilst deflated following the loss to Switzerland there is increased confidence within the team that some more positive results will come Ireland’s way.